Lanesboro is a small historic town known for its outdoor recreation and is an attractive tourism location in southeast Minnesota. In the spring and summer months this small town pulls in thousands of tourists every year. Known as the bed and breakfast capitol of Minnesota, visitors come to Lanesboro to enjoy restaurants, shopping and Amish country. Many people come to visit the art galleries or attend performances by professional theatre. Visit this beautiful, historic town and you can also enjoy outdoor recreation including kayaking, canoeing, fishing and tubing on the Root River. If you’re more of a land lover the Root River Bike Trail is available for hiking, biking and rollerblading. 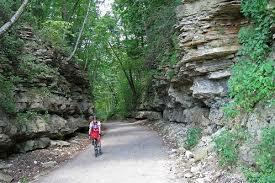 The Root River Bike Trail is considered the king of bike trails in Minnesota. 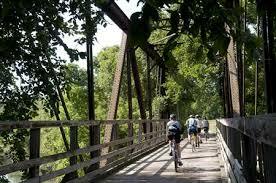 The Root River Trail is one of Lanesboro’s biggest attractions. 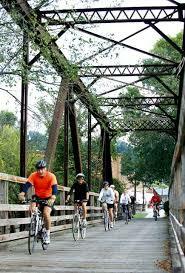 Bike enthusiasts love the spectacular trail that winds 42 miles through the valley with Lanesboro at the very center. The trail also connects to the Harmony Preston Valley State Trail for an additional 18 paved miles. These trails were once a railroad where trains traveled through limestone bluffs, forestlands, rivers and rolling fields. These abandoned railroads were turned into The Root River Trail, where people can now enjoy the beautiful scenery and unique landscape of bluff country. Experience bluff country’s rural landscape and abundant wildlife. Historical buildings and rural communities along the trail provide sites of interest for those who travel here. Lanesboro often holds special events along the trail. 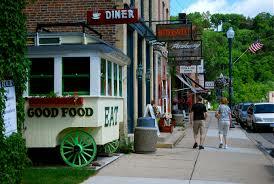 Campgrounds, bed-and-breakfasts, historical inns, restaurants, museums, outfitters and unique stores can be found in Lanesboro and some towns along the trail as well. Cyclists, in-line skaters, hikers and cross-country skiers can enjoy these premier trails year-round! Root River Rod Company offers guided boat trips and is open year-round. This is a full service trout fishing shop including gear, guides and all your fishing supply needs! 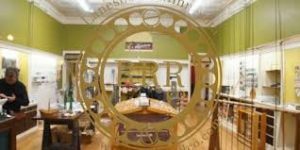 Shop fly rods and apparel, and be sure to check out their water colors as well. From fly fishing to open fly tying, Root River Rod company offers classes and clinics to improve your fishing skills! 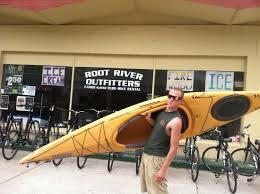 River Rats Outfitters rent out kayaks and canoes for 2-hour trips or 4-hour trips. 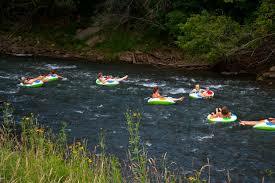 If you want to bring your own canoe or kayak they will provide shuttle services anywhere on the river. Shuttles prices vary depending on the distance. Minimum shuttle prices is $20 per boat. Root River Outfitters canoe and kayaking trips run on scenic stretches of both the North and South branches of the Root River. Life-jackets, paddle rentals, as well as shuttle services are included in the price of each trip. Bicycle rentals are also available. 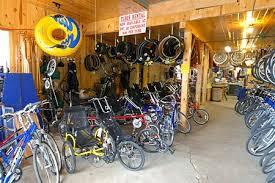 Little River General Store also rents out bikes, canoes, kayaks and tubes! All of these Lanesboro recreational outfitters are very helpful and will ensure that you enjoy your time here and the great outdoors! If golf is an outdoor sport you enjoy, there is a 9-hole course right here in Lanesboro. Lanesboro Public Golf Club is located at 900 Parkway Ave S. This course is open to the public and no tee-times are required. This golf course offers several elevation changes and gives all players the opportunity to challenge their game. A restaurant is available in the clubhouse. Call 507-467-3742 for more information! 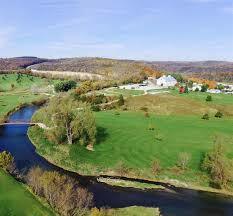 Rivers Bend Golf Course is located at 24461 Heron Road just 5 miles from Lanesboro. This 18 hole golf course is located in an unrivaled setting of natural beauty. River’s bend offers a friendly, but full experience at affordable rates. Please call 507-467-2512 or visit www.barnresort.com for more information! Mini golf is another great opportunity to enjoy golfing outdoors in a relaxing setting. 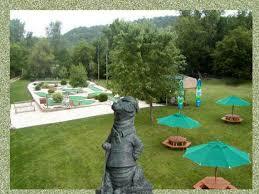 Gator Greens is located in the heart of beautiful Bluff Country just 4 miles East of Lanesboro. People of all ages will enjoy a game of mini-golf. It is a fun activity for groups, families or just a group of friends. 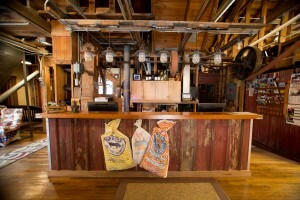 Call 507-272-2149 and visit www.cyclin-inn.com/gatorgreenhm.html for more information. When visiting Lanesboro, you can see that bluff country has been thousands of years in the making. 10,000 years ago a visitor to Lanesboro looking north would have seen a monster wall of ice nearly 1 mile high. Streams created by the massive melting glacier swirled around and created the unique landscape carved into the limestone bluffs. We are home to plants and animals not found anywhere else in the state. Thanks to the diversity, our area is also highly regarded for turkey and deer hunting along with trout fishing, hiking and biking. If you have a love for the outdoors, you will truly enjoy choosing Lanesboro for a place to unwind and make memories. 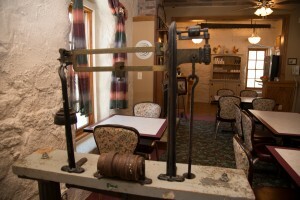 Stone Mill Hotel & Suites is a historic inn offering 13 themed rooms or suites. Suites have the option of private two-person whirlpool tubs, king sized beds, iron-claw fireplaces and lofts. Bring your own bicycles with you, we offer a locked bike storage facility to all of our guests! If you have any questions regarding area attractions, packages or room descriptions, call 507-467-8663. Check availability at Stone Mill Hotel & Suites, today!